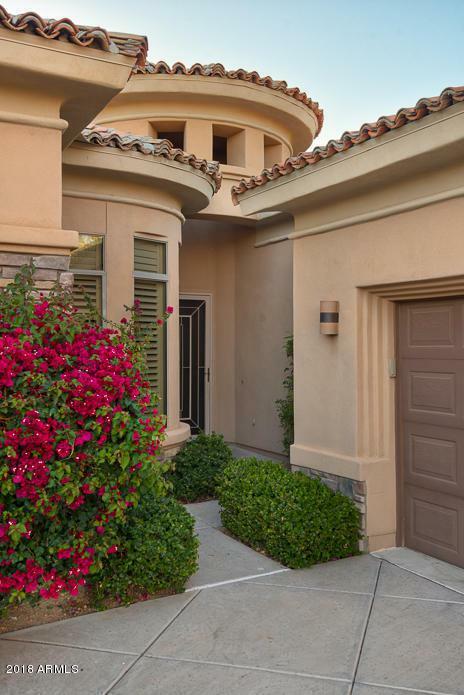 Wonderful single family home on the Talon golf course at Grayhawk! 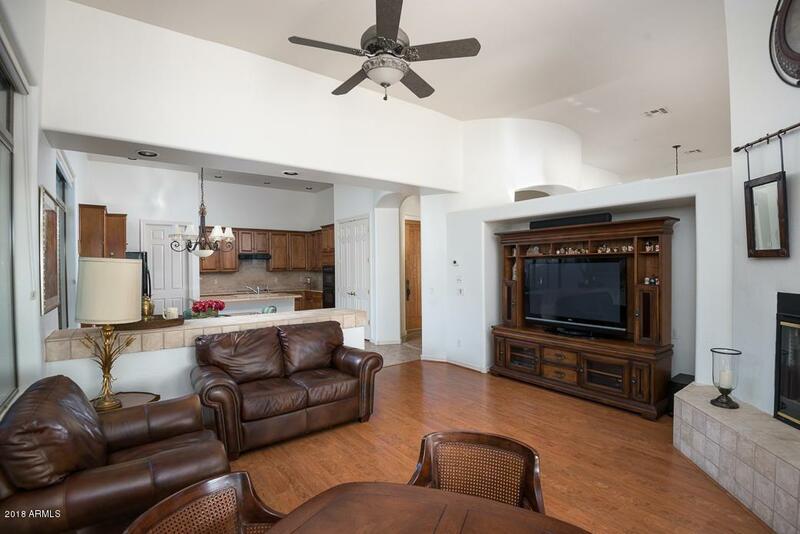 Open / split plan with 3 bedrooms / 2.5 baths makes an ideal full time, seasonal or vacation rental! 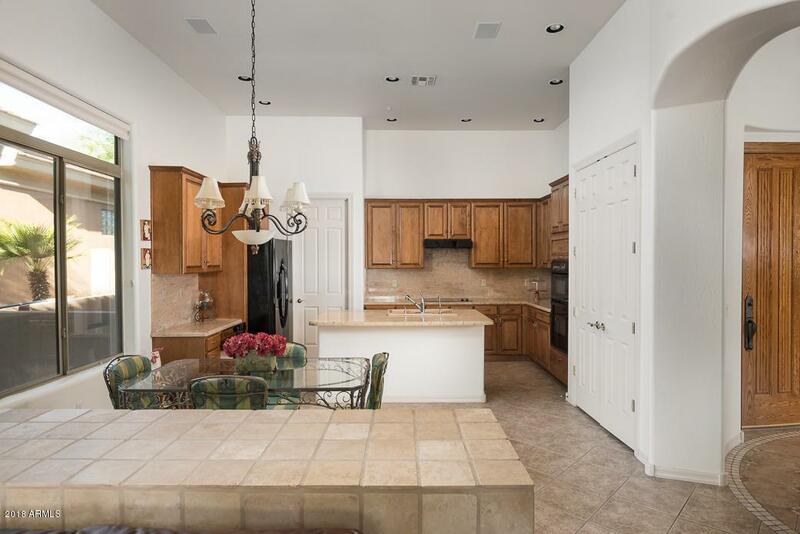 Lovely open kitchen with generous island and full slab granite counters and backsplash compliment the wood cabinetry and accents. Open great room connects the living room with a dual sided fireplace made for entertaining. Generous master suite with walls of windows to take in the multiple elements of mature landscaping, multiple fireplace / fire pit seating areas and a water feature that graces the expanse of the flagstone patio. Built in bbq and bench seating all round out this uniquely and expertly designed yard. Plus, 2 car side entry garage with loads of storage!